October and November are two huge months for Studio students. So many of us are doing so much, it’s hard to keep track of it all. If I have left out your event, please let me know. I am relying on my middle aged mind!!!! Mercedes Machado won first place in the Chaffey Joint Union Solofest Competition in the classical category. Congrats to all the finalists: Marissa Henkel, Laura Musquez, and Hannah Meisser who won an honorable mention in the Musical Theater catagory. Also on stage in in the near future is Marissa Henkel featured in the Los Osos High School production of To Gillian on her 37th Birthday. Michael Sturgis is performing along with stage and screen veteran Fred Willard in the Grove’s production of Elvis and Juliet. Gracie Unger is featured as Cinderella in the Grove Theater’s Children’s Production of Cinderella. One performance only: November 14th at 12 noon. Gracie receives credit for all tickets sold, so… please mention her name. Leanna Arredondo is Tiger Lily in the Chaffey High School producton Peter Pan. 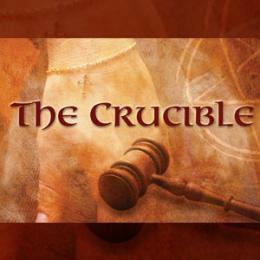 Maggie Anderson, Eryn Moore and Christina Stratford are featured the Lewis Family Playhouse Production of The Crucible. Cesar Giovanni Quintero appears in the Candlelight Pavillion production of The Man of La Mancha. 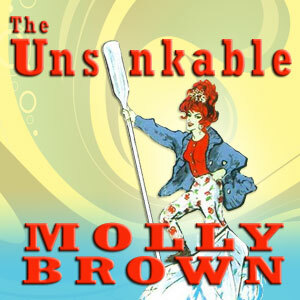 Brandon Alpert will appear in the Performance Riverside production of The Unsinkable Molly Brown. I am so proud of everyone!!! Every studio student should support your fellow students and attend as many productions as possible. Let me know what you are doing and I will post it on the website! A hearty congratulations to all studio students who are performing at a variety of venues during this month. Leanna Arredondo made a debut performance in the title character and Evan Weinmeister was a featured perfomer in the Karousel Kids production of Annie. Kaitlin Orr, MacKenzie Orr, Angie Harold, Zach Jacobsen and Scotty Jacobsen are featured in the Citrus College Conservatory performance of Footloose. Appearing in the Broadway Experience production of Bye Bye Birdie (a project dear to my heart, as I am the music director), are Ariel Fazekas, Laura Musquez, Miranda Ford. Elysee Carenno, Ian Hewitt, Zeke Gonzalez, Michael Vandie, Gabi Ensil, Sabrina Bertic, David Nicholson, Marissa Henkel, Hanna Meisser, Sarah Hinrichesen, Maggie Anderson, Sarah Jackson, Michael Sturgis, Cesar Quintero, Darrah Carattini-Garcia, Chris Small and Brandon Alpert. The production opens on July 24. Additional information can be found here. 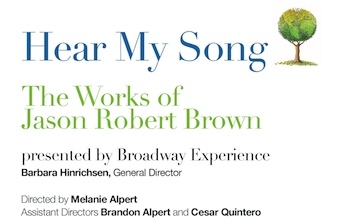 Please join The Alpert Studio and Broadway Experience for an intimate evening of contemporary musical theater by Jason Robert Brown, presented in concert version. 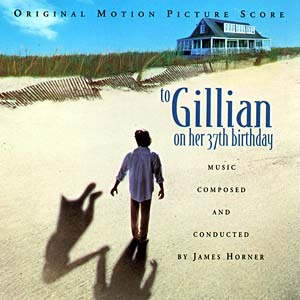 This musical celebration will include selections from Songs for a New World, The Last Five Years, Thirteen, Parade and selected songs from the Jason Robert Brown library. This production will feature many students and alumni of the Alpert Studio. These exciting and polished performers have won acclaim and awards for their singing including several who have been semi-finalists in the prestigious Los Angeles County Music Center Spotlight Awards. I am very proud of this production, while not a kid’s show and includes mature themes, I urge everyone above the age of 12 to attend. Please forward the attached event flyer (link above) to everyone you know! Presented by Broadway Experience • Non Profit 510(c3). Our thanks to Jason Robert Brown who graciously extended permission for this public performance. I came across this article in Backstage, about the work of one of the most well respected vocal pathologists in the world, Dr. Ingo Titze. I’ve been following his work for several years through my involvement with the National Association of Teachers of Singing, but also on another level. I went to school with him, and we even shared the stage together as soloists in the Bruckner Te Deum! Some of this is technical stuff, but it’s well worth the investment in reading it carefully. I hope you all do. Please make special note of the section called New Therapies, as he talks in detail about the use of “the straw”!!! There have been great advances in recent years in the field of voice research. This new knowledge is helping voice teachers and speech-language pathologists, actors and singers keep voices healthy for a lifetime. The National Center for Voice and Speech is at the forefront of this cutting-edge research. 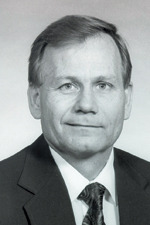 Led by Dr. Ingo Titze, the NCVS is a nonprofit organization with locations in Denver and Iowa. In addition to offering a full range of vocal resources on its website, the NCVS hosts the yearly Summer Vocology Institute, which trains voice professionals from around the world. For more information on the NCVS, go to www.ncvs.org. Happy New Year and welcome back to voice lessons. Regularly scheduled voice lessons will resume on January 5th at your previously scheduled times. If you are unsure about your assigned lesson time, please call me asap. Special note: all lessons on Monday, January 26 will be cancelled. Please make a note if you are paying a monthly tuition for January. Looking forward to seeing all of you in the new year. Let’s do some good work! As many of you may know, Brandon and I are on the road this week to meet up with some seriously talented kids who auditioned and were accepted to sing at Walt Disney World’s Candlelight Processional. 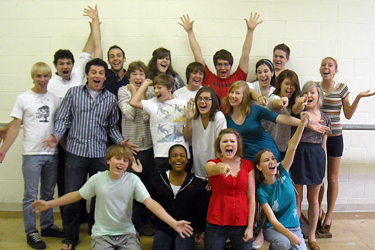 We’re performing with the Upland, CA based Broadway Experience performance troupe, led by director Barbara Hinrichsen. I am so proud to be their music director. We found out recently that we were the only group of singers, high school, college or adult, that was accepted from the Western US this year! That is quite an honor and well deserved by this group’s talented young performers. This group includes a large number of award winning singers, from LA County Music Center Spotlight semi-finalists (three) to San Bernardino County Music Educator’s Association Solofest winners or finalists (five) from Southern California Vocal Association semi-finalists or finalists (six) to Chaffey Joint Union Solofest winners or finalists (four) to John Child Walker Vocal Competition finalists or winners (four). Each and every member is showing great promise; we have some of the best young singers in Southern California. I am privileged to be involved in their artistic lives. We’re looking forward to an incredibly rewarding trip. And oh yea, it will be a BLAST too! Stay tuned! Voice lessons will resume the day after Labor Day, Tuesday, September 2. If you have a Monday lesson time, your lessons will start on Monday September 8th. I am doing a lot of reorganizing of my studio and I need this extra week. All lessons will remain at the same time if I have not heard from you and/or you have not requested a different time. I am still working on scheduling and should have new schedules ready some time next week. I will email them out to you, plus a list of phone numbers in case you occasionally need to switch a lesson with another student. If you do not want your phone number on that list please let me know right away. If you need to change a permanent time slot you must let me know asap. Hope you all had a wonderful summer. Now it’s time to get back in the swing! I look forward to seeing and hearing all of you! Congratulations to Alpert Studio Students Cesar Quintero, Mercedes Machado, and Mackenzie Orr for winning top honors and sweeping the High School, Junior High and Elementary voice divisions of the San Bernardino County Solofest competition. I would also like to recognize Kaitlin Orr and Michael Sturgis for their wonderful performances at the event. I’m sure any judge would have had a difficult time deciding the final outcome. I’m proud of you all! Competition winners received either cash or a full paid scholarship for two week programs at the Idyllwild Summer Academy for the Arts. Again, congratulations to all participants and a special thank you to Dr. Andrew Crane, Rebecca Tomlinson and the Cal State San Bernardino music faculty for making this such a positive and rewarding experience for young musicians. Every Alpert Studio Student who recently applied to attend the Orange County High School for the Arts was accepted! Kudos to Sarah Hinrichsen, Michael Sturgis, Mercedes Machado and Kaitlin Orr. Again, you have done me proud! Congratulations to all Alpert Studio students who participated in this year’s San Bernardino County Solofest; each one of you performed beautifully. I have seen such growth in each and every one of you; it’s makes me so proud! Special congrats go out to those students who advanced to the finals: Mackenzie Orr, Elementary division, Kaitlin Orr, Michael Sturgis and Mercedes Machado, Junior High division (we swept this category!) and Cesar Quintero, High School division. Our finalists will be competing this 10:00 a.m. Saturday, at the Cal State San Bernardino theater. Please come out and support your fellow students! Also a quick note to studio voice and violin students: The date for our Spring Recital has been set. PLEASE SAVE THE DATE: Saturday, June 7, 4:00 p.m. at the studio recital hall.